Black finished surfaces have extensive applications in many domains, such as optics, solar cells, and aerospace. The single-step electrodeposition of superhydrophobic black NiO films from a dimethyl sulfoxide-based electrolyte is described in this paper. 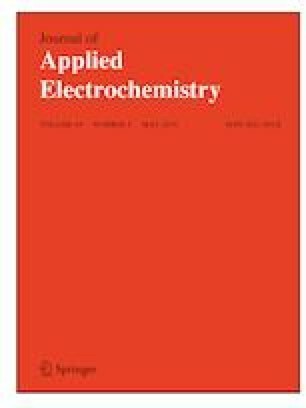 The physicochemical properties of the obtained film were characterized using scanning electron microscopy, X-ray diffraction, and electrochemical tests (electrochemical impedance spectroscopy and potentiodynamic polarization). 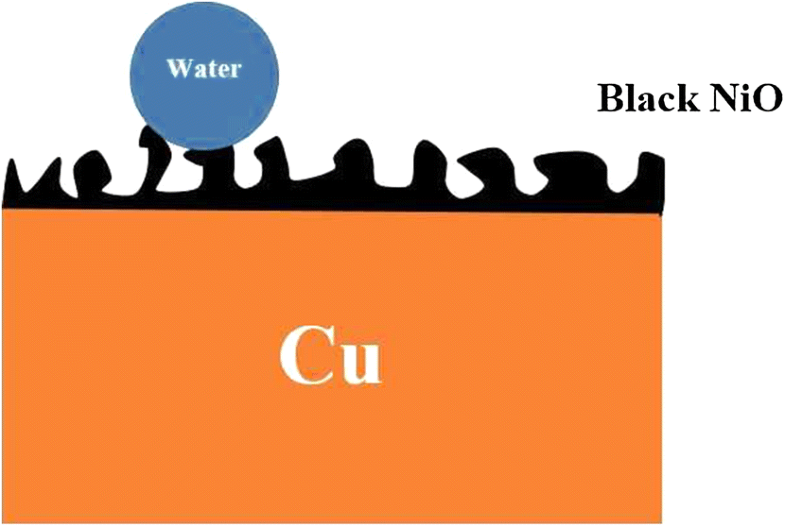 A rough surface with a low reflection of light was formed after the deposition process that increased the contact angle of water from about 87° (for bare Cu) to 163° (in presence of the black coating), which improved the corrosion resistance of the Cu substrate by about 30%. The formed black NiO film revealed a notably high stability and kept its appearance even after corrosion tests. The project (APODISE, No. ANR-11-IDEX-0001-02) leading to this publication has received funding from Excellence Initiative of Aix-Marseille University—A*MIDEX, a French “Investissements d’Avenir” programme.